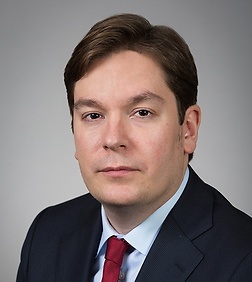 Karl Buhler is an associate in the Corporate and Securities Practice Group and French Desk in the firm's New York Office. Karl’s practice primarily focuses on domestic and cross-border transactions (with special emphasis on operations involving French companies). He has experience in mergers, acquisitions, joint ventures, and complex commercial agreements in a variety of industries such as technology, communications, life sciences, energy, defense and aerospace. In particular, he advises foreign companies with the installation and development of their operations in the United States. Karl was born and educated in France. He began his legal career in China, practicing corporate law in both Beijing and Hong Kong with a focus on mergers, acquisitions, and project finance in the energy and infrastructure sectors. Karl then relocated to Paris, where he continued to focus on corporate transactions, but also expanded his expertise to international arbitrations and litigations arising from contracts and transactions, including mergers and acquisitions, joint venture, and infrastructure agreements. Karl then moved to New York to further build his corporate experience in cross-border transactions and disputes at a U.S.-based firm where he worked closely with French companies implanted in the U.S.
A French music streaming company in connection with the expansion of its operations to the U.S.